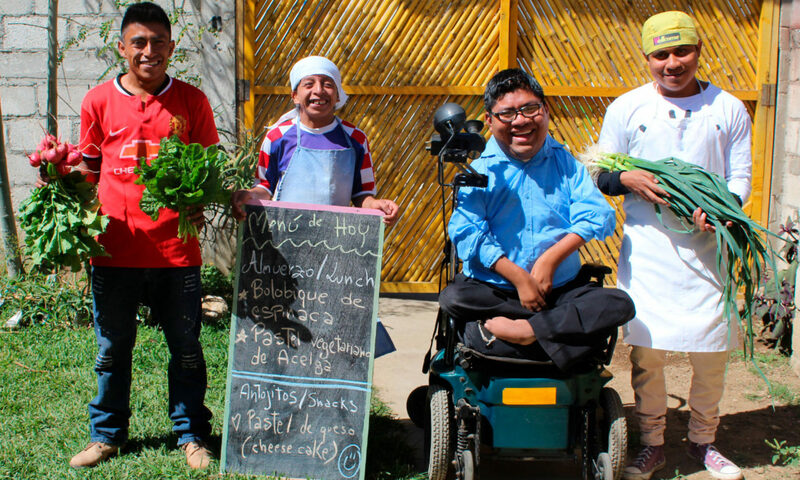 Alma de Colores is a social and labor inclusion workshop for people with disabilities that is located at San Juan La Laguna, Lake of Atitlan. The workshop consists of more than 26 members, aged between 16 and 44, who work and engage in the following areas: crafts making, sewing, bakery, our biological garden, and restaurant known as “comedor”. The project is part of “Centro Maya Servicio Integral”, an organization that has been working with the theme of disabilities since the 90’s. Alma de Colores answers to the necessity to empower and create social and labor inclusion to the members of Centro Maya that are reaching adulthood. The members of Alma de Colores receive fair income through therapeutic scholarships and other services such as therapy, transport, health funds, and a system of loans without interests to finance their education or personal business. Alma de Colores exists thanks to the support of different organizations and the sale of products made in its workshops. Objectives: To create a social and labor inclusion business model for people with disabilities. Values: Justice, empowerment, inclusion, solidarity, human rights and environmental sustainability.